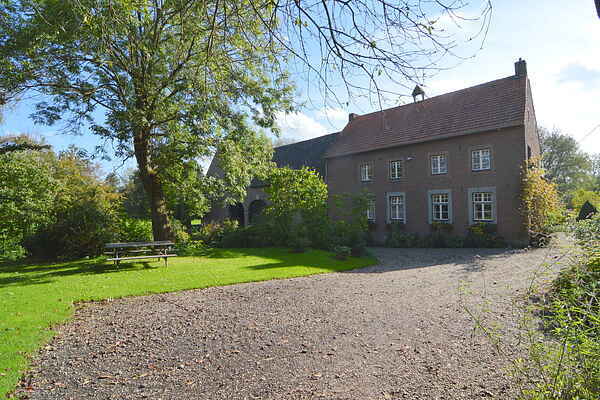 This monumental square farmhouse is located in the Limburg hills in the middle of the country but in a central location close to the attractive cities of Maastricht, Valkenburg and Aachen. The house is homey and comfortably furnished and is located in a perfect location for exploring the hill country on a bike or walking. The homeowner offers the opportunity to bring your horse with you, upon request. There are boxes available, as well as pasture (15€ per horse/ per night and paddocks. The garden has a fence but is not private. From Craubeek you can walk and cycle the beautiful Limburg hill region, which is known for its expansive rolling fields, fruit orchards and the characteristic Limburg empty paths. Nearby Valkenburg (7 km) offers many shops, restaurants, marl stone caves and a sauna and wellness complex, Thermae 2000. Culture lovers will love a visit to the charming city of Maastricht (18 km) and castle Hoensbroek (7 km).